This 1 bedroom apartment with swimming pool is located in Costa Paradiso and sleeps 4 people. It has WiFi, air conditioning and barbeque facilities. The apartment is near a beach. This 4 bedroom villa with private pool is located in Torre di Bari and sleeps 8 people. It has WiFi, air conditioning and a garden. This 3 bedroom villa with private pool is located in Badesi and sleeps 6 people. It has WiFi, air conditioning and a garden. The villa is near a beach. This 7 bedroom villa with private pool is located in San Pietro a Mare and sleeps 14 people. It has WiFi, air conditioning and a garden. This 4 bedroom villa with private pool is located in Palau and sleeps 12 people. It has air conditioning and barbeque facilities. The villa is near a beach. This 1 bedroom villa with private pool is located in Capriccioli and sleeps 6 people. It has WiFi and air conditioning. The villa is within walking distance of a beach. This 3 bedroom villa is located in Santa Reparata and sleeps 6 people. This 4 bedroom villa with private pool is located in Abbiadori and sleeps 10 people. It has air conditioning, barbeque facilities and parking nearby. The villa is near a beach. 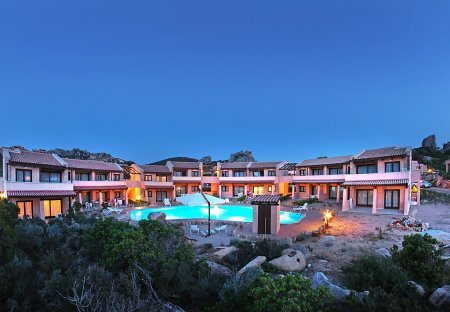 This 3 bedroom villa is located in Costa Smeralda and sleeps 8 people. This 4 bedroom villa with private pool is located in Lu Fraili di Sotto and sleeps 10 people. It has WiFi and air conditioning. The villa is near a beach. This 4 bedroom villa is located in Arzachena and sleeps 8 people. This 4 bedroom villa with private pool is located in Golfo Aranci and sleeps 8 people. It has air conditioning, a garden and barbeque facilities. The villa is near a beach. You can spend a beautiful holiday in this portion of a villa (semi-detached house) with infinity pool directly on the sea in Portopinetto, near Portopino, in the municipality of Sant'Anna Arresi. This 5 bedroom villa with swimming pool is located in Trinità d'Agultu e Vignola and sleeps 12 people. It has barbeque facilities, parking nearby and a gym. The villa is near a beach. This 4 bedroom villa with private pool is located in Cala Sinzias and sleeps 8 people. It has WiFi, air conditioning and a garden. This 3 bedroom villa with private pool is located in Costa Paradiso and sleeps 8 people. It has air conditioning, parking nearby and a gym. The villa is within walking distance of a beach. 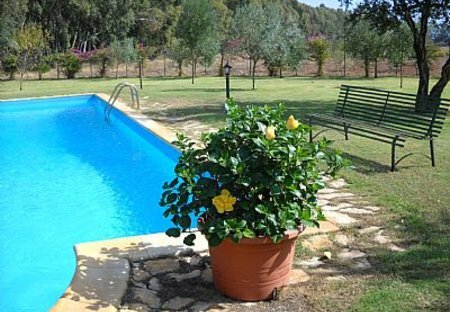 This 5 bedroom villa with private pool is located in Santa Teresa Gallura and sleeps 10 people. It has air conditioning and barbeque facilities. The villa is near a beach.